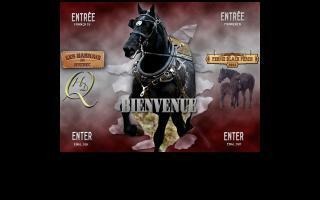 Harness Makers Directory - O Horse! 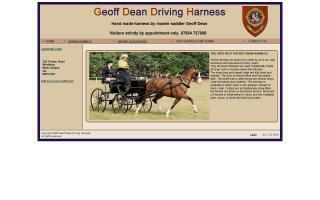 Buggy shop, harness supply, and driving lessons. Quality Amish made harnesses in all sizes, including goat, mini, cob, horse, and draft. Find everything you need for driving... bits, whips, gloves, carts, and buggies. Learn how to drive a horse safely with skills such as harnessing, reinsmanship, putting to cart, etc. Over 30 years experience. 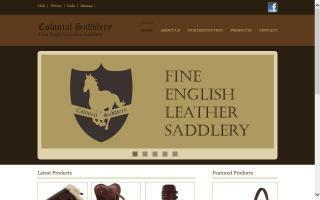 Colonial Saddlery is a Kanpur (India) based manufacturer of premium English & western saddlery items. Our product offering includes English, western, and Australian saddles, bridles, girths, harnesses, halters, breast plates, horse shoes, and many more equestrian accessories. 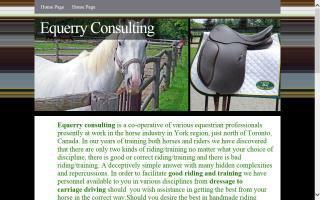 English riding saddles and fine show harnesses: handmade on a per order basis, custom fitted, and made in Canada. Each saddle is handmade from cutting of the leather to final stitching and polishing by one harness/saddle-maker. All work is done in our studio in York region, Ontario. There are many fine saddles made for the average horse available in tack stores today. If you are looking for something beyond the ordinary and above average, then feel free to e-mail or call for more information. All product trials and saddle tailor sessions are by appointment only. Manufacturier de harnais pour chevaux lourd et léger fait sur mesure au goût du client. 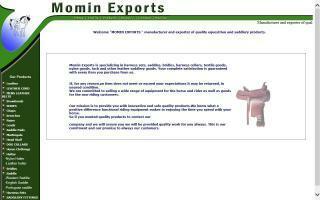 We are a manufacturer and exporter of leather saddlery items like saddles, harness sets, bridles, nylon halters, and rugs. 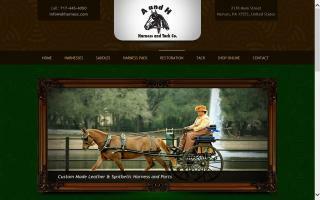 World famous, quality handmade riding, driving, and hunting equipment.